Union offers two-year programs leading to the Associate in Arts, Associate in Science, and the Associate in Applied Science degrees, and programs leading to the Certificate and Certificate of Achievement. 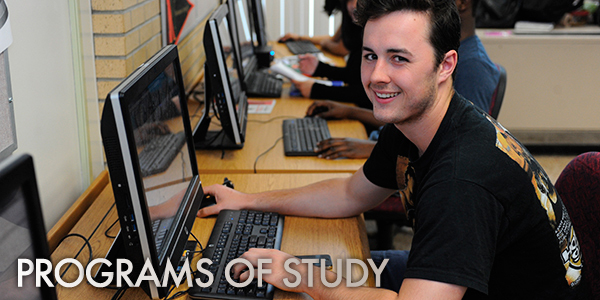 The course requirements for each program are outlined in this catalog. All matriculated students, whether they plan to transfer to a four-year institution or complete their college careers at the end of their programs, are eligible for the Associate degree, the Certificate, or the Diploma if all graduation requirements set forth in this catalog have been met. The curriculum programs are offered as guidelines and courses do not necessarily need to be taken in the order suggested. Please note, however, that many courses require prerequisites or corequisites. Academic Programs are subject to change. Students should contact the office of the Vice President for Academic Affairs for the most current information. Associate in Arts - A.A. Associate in Science - A.S. Associate in Applied Science - A.A.S. Certificate of Achievement - C.T.A. While the course requirements specified in the following curriculum descriptions are normally required, students may request to waive or substitute courses which are available infrequently. Students wishing to do so should see the appropriate Division Dean or Vice President for Academic Affairs for approval. Course waivers will be given at the discretion of the involved Division. It is strongly recommended that students obtain course waivers before registering for the substitute course. American Sign Language and Deaf Studies, A.S.
American Sign Language and Deaf Studies, C.T. Computer Information Systems & Technology, A.S. Early Childhood Elementary Education, Suggested Grades Pre-K-3, A.A.
Education, Suggested Grades 4-12, A.A.
Educational Interpreter Program (EIP), C.T.A. Hotel, Restaurant, and Tourism Management, A.A.S. Journalism and Public Relations, A.A. Mathematics Major - Education Option, A.S. Nursing, JFK Medical Center Muhlenberg Harold B. & Dorothy A. Snyder Schools, A.S. Nursing, Trinitas School of Nursing, A.S.
Paramedic Emergency Health Science, A.A.S. Psychosocial Rehabilitation and Treatment, A.S.